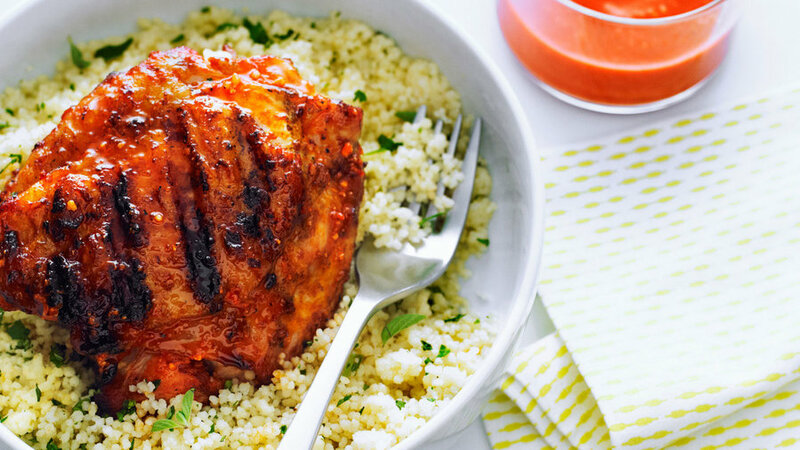 The perfect picnic chicken! 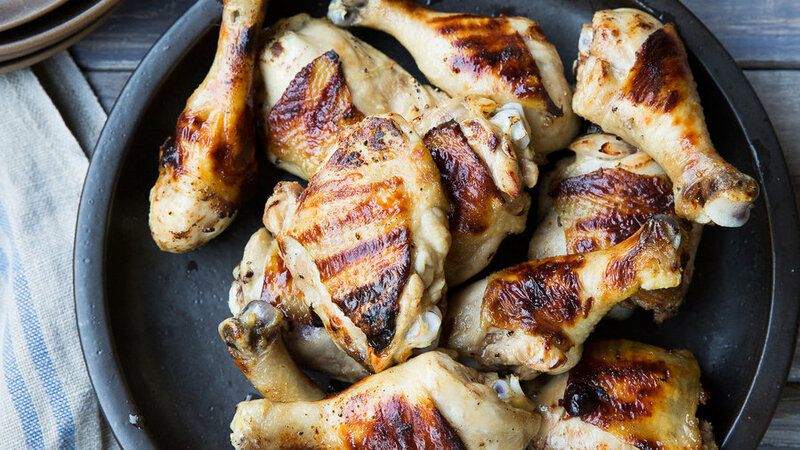 Soak chicken in a buttermilk brine for extra moist and tender results, and add subtle Indian-inspired spices for a go-anywhere feast that's miles from boring. 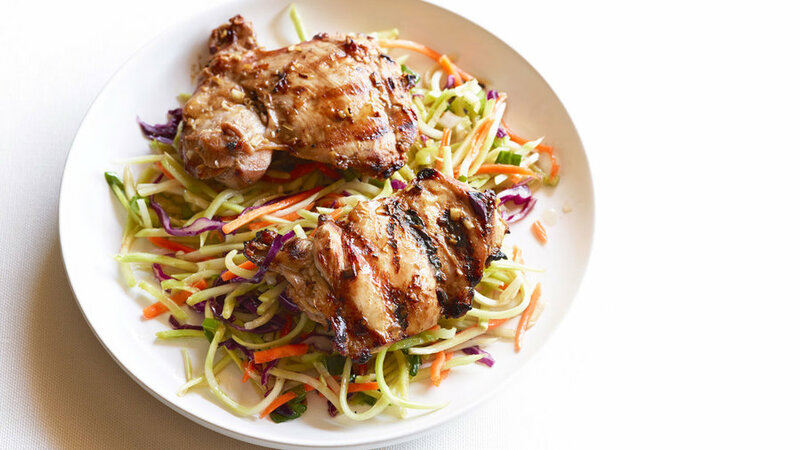 Half of this intense, hearty vinaigrette goes on the chicken right before it's cooked—less a marinade than a "pre-sauce"—and te other half gets drizzled onto the grilled chicken, creating layers of flavor without a long marinating time. 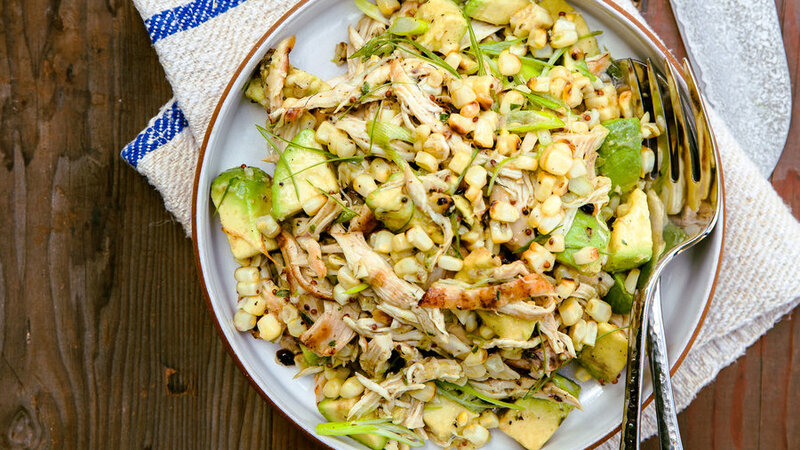 The paprika delivers great smoky flavor in this main-dish salad. 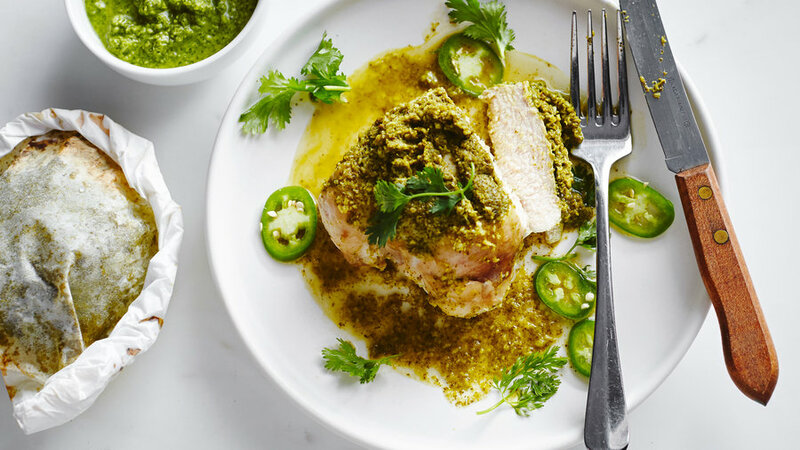 Designed for cilantro fans, this Indian-style chutney gives chicken breasts loads of flavor and keeps them moist in their parchment-paper packets. Don’t let the grill get over 425°, or the paper may catch on fire. 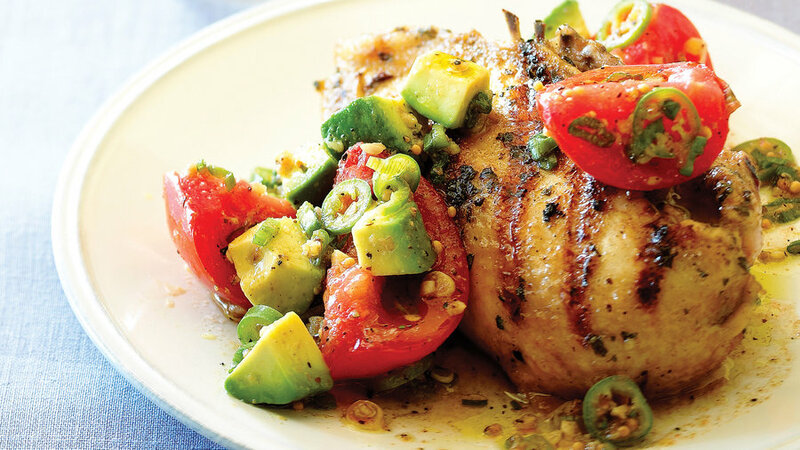 Marinate chicken breasts in lime, cilantro, and chicken, then grill and top with an absolutely addictive sweet and spicy tomato avocado salsa. This dish will knock your socks off. If you can’t find packaged broccoli slaw, whirl broccoli stems in a food processor, using the grater attachment. Throw in a carrot and some red cabbage if you like. Made with cashews, this romesco, given to us by Josh Drage, chef at the Ranch at Rock Creek in Philipsburg, MT, has a silkier texture and sweeter flavor than the classic sauce made with almonds. 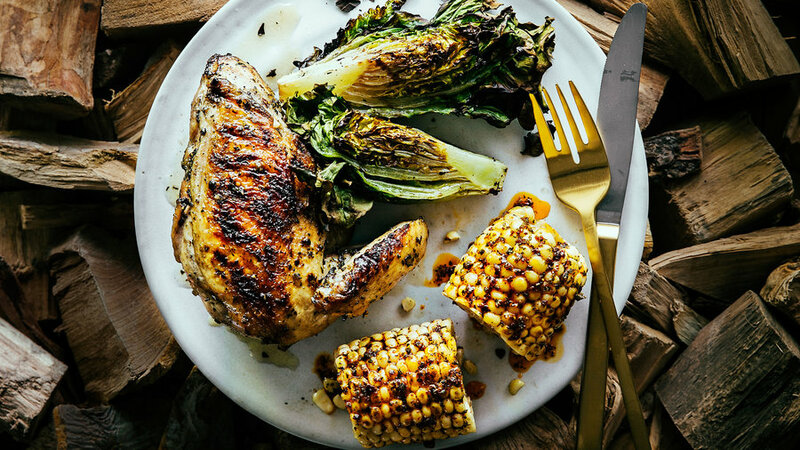 He brushes it onto grilled chicken, but it would also be good swirled into a creamy soup. 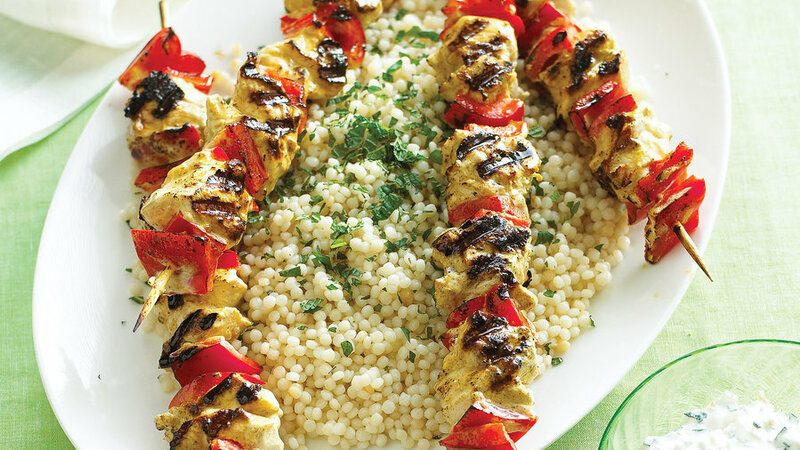 These crowd-pleasing kebabs get an Indian kick from a marinade of curry, garam masala, and yogurt. Israeli couscous on the side is a nice change from typical pasta salad. 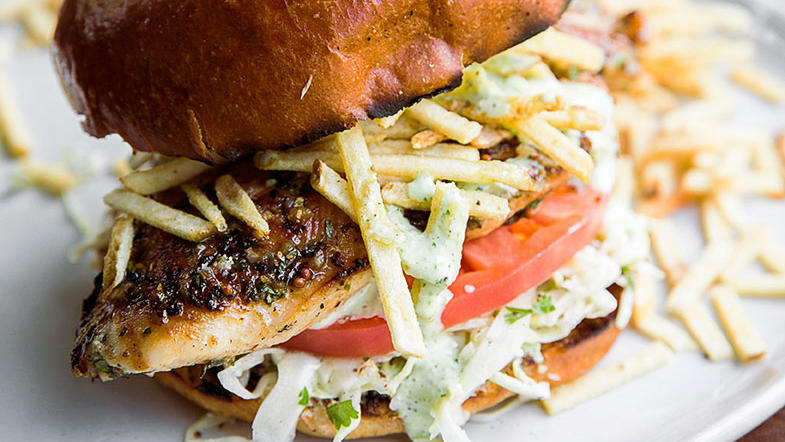 Poultry burgers have a reputation for being dry and bland. 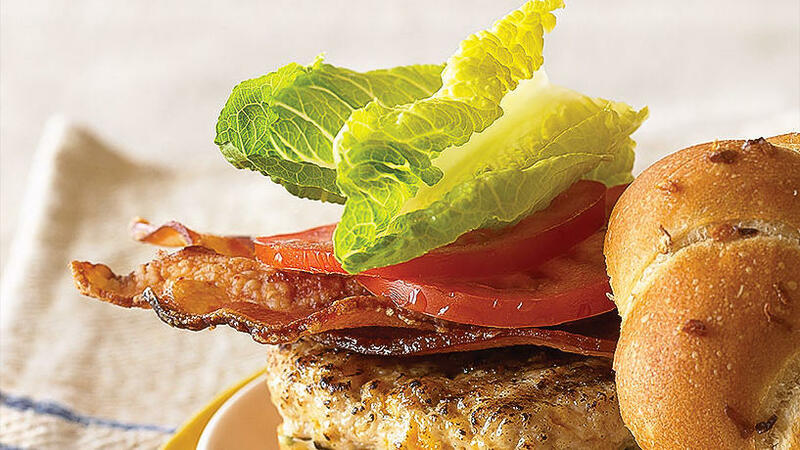 Not these: Jazzed up with sharp cheddar, parmesan, and garlic ― then topped with crisp bacon, juicy tomatoes, and lettuce ― they're boldness in a bun. A taste of summer in a bowl: barbecued chicken, sweet nectarines, tangy goat cheese, crisp salad greens, and toasted pecans. 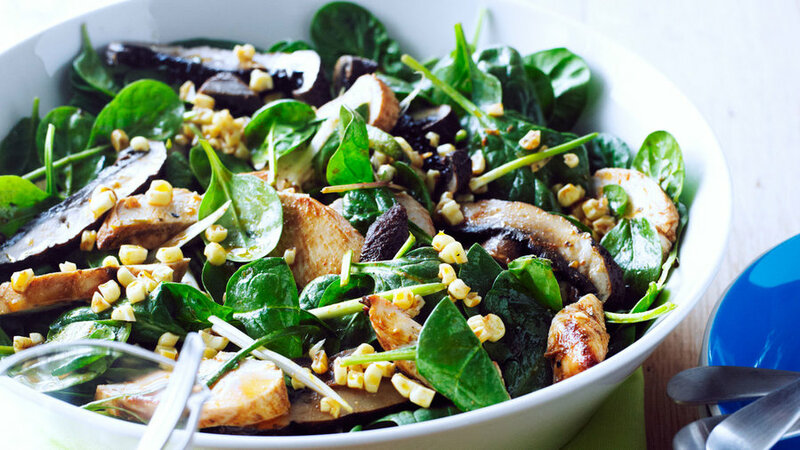 A speedy entree salad that’s perfect for the season. 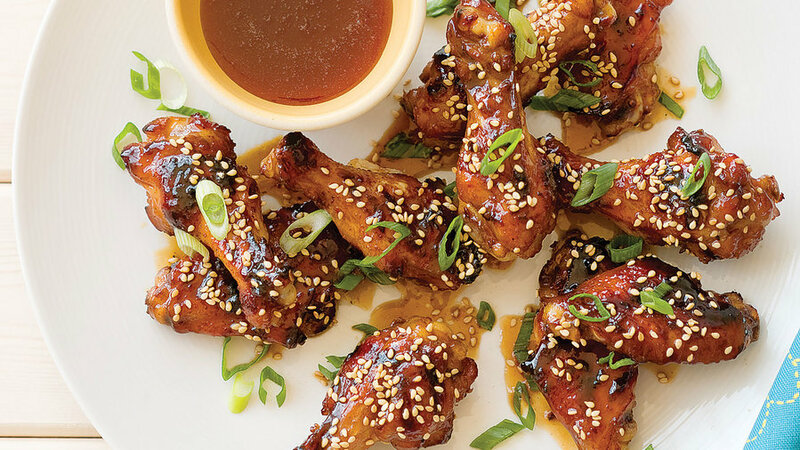 Finger-lickin' sweet replaces blazing buffalo as the flavorings for these tasty wings. We like to serve them as a fun hors d'oeuvre for an outdoor party or as the main course for a family dinner. 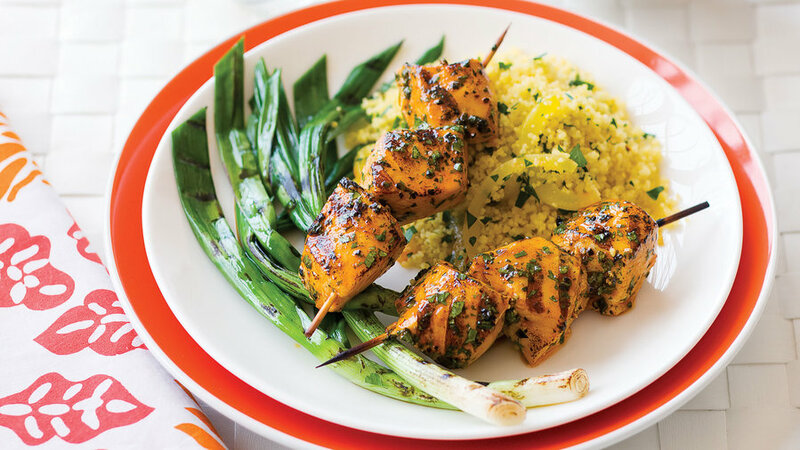 Your family will love these extra-tasty chicken skewers, our version of a popular Japanese street food. The sauce also works well on pork, fish, or beef. This Sunset favorite is based on a spicy grilled Portuguese dish; piri-piri is a small hot chile. 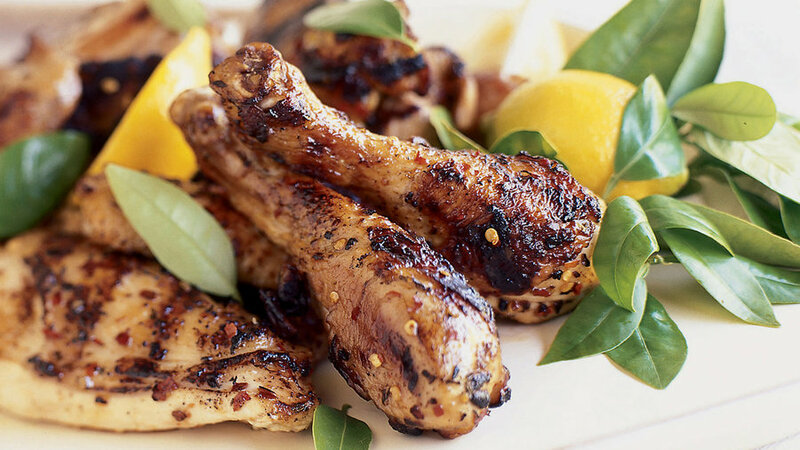 Traditionally, piri-piri preparations include a splash of lemon and a hint of garlic; we're more generous with both in our version. 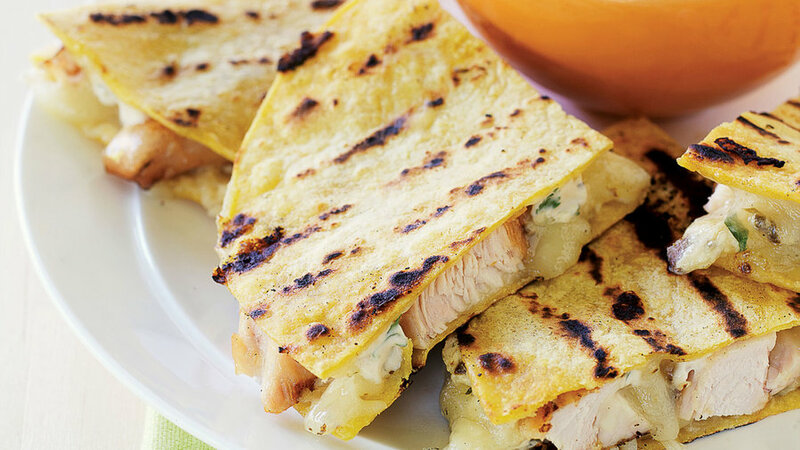 Stuff your quesadillas with sour cream, spicy chipotle peppers, and grilled chicken, and you'll have a new family favorite. 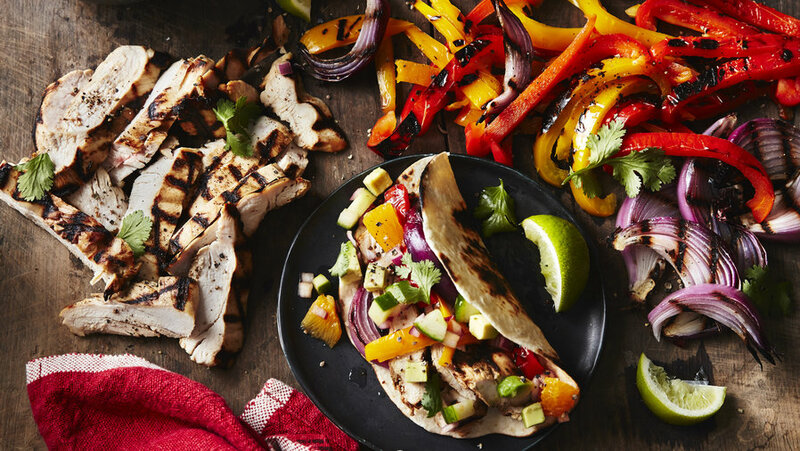 Grilling adds a mildly smoky note, the perfect complement to big flavors like lime, cilantro, and chile. Fresh cilantro, lime juice, honey, and garlic add zip to this simple, healthy main dish. 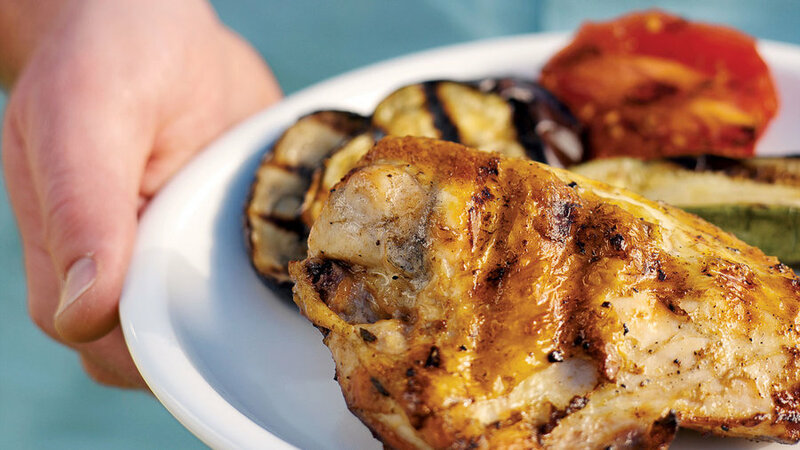 Want moist and succulent grilled chicken with deliciously crispy skin? Try grilling under a brick. (Or, use the modern equivalent: A cast-iron pan.) 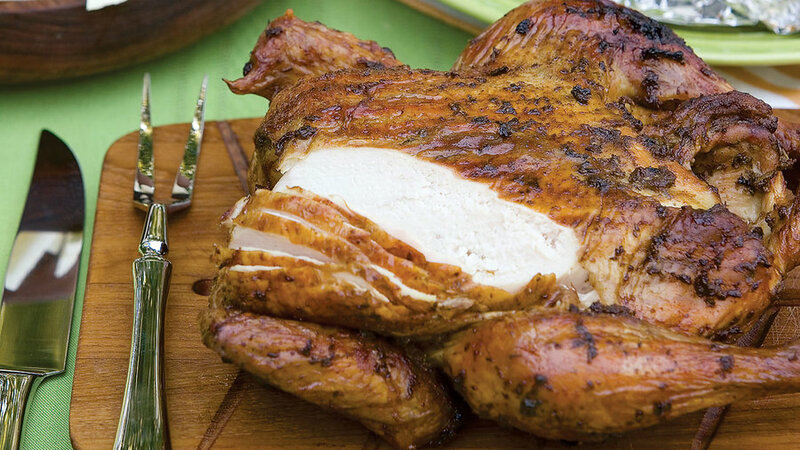 Take a whole chicken, cut open and flatten, marinate, and then grill under a weight. 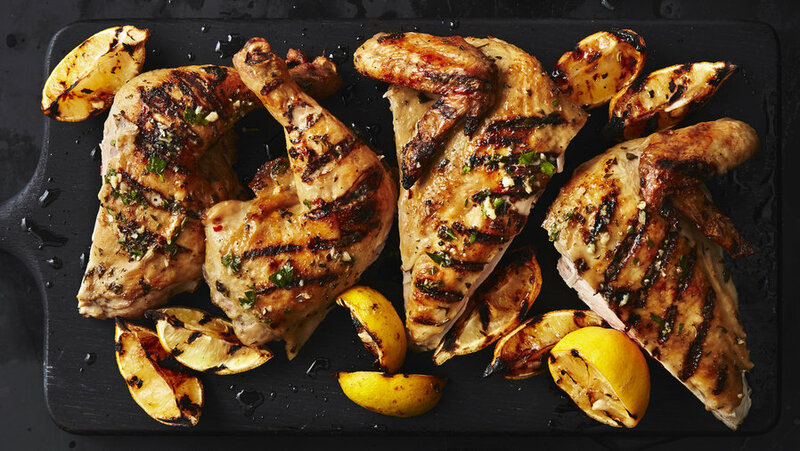 Use the same technique with Cornish hens or quail for equally good results. 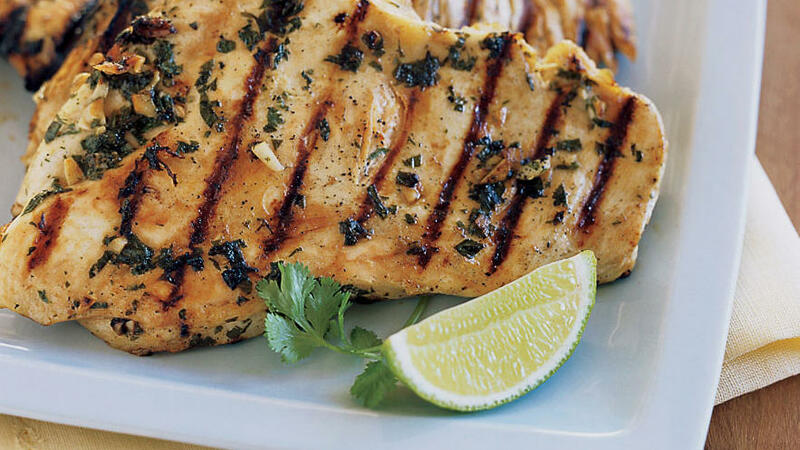 Simplicity on the grill: This super-easy recipe puts a tasty spin on grilled chicken breasts, flavored with a hint of lime and a punch of pepper. A sweet and salty sauce of roasted red peppers, nuts, and garlic tops this luscious chicken dish. 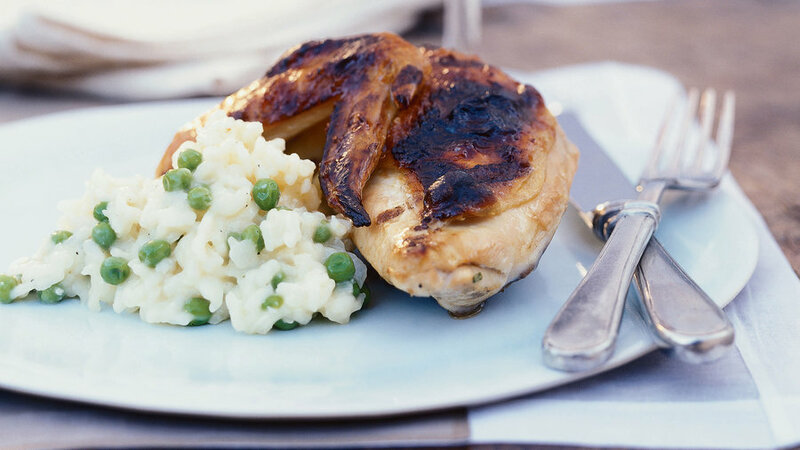 Give your chicken a 24-hour bath in dry white wine ― it's the key to this simple recipe's delicate flavor. "Spatchcocking" a chicken means splitting the bird down the back and flattening it out so it cooks more evenly and quickly (it's also known as butterflying). 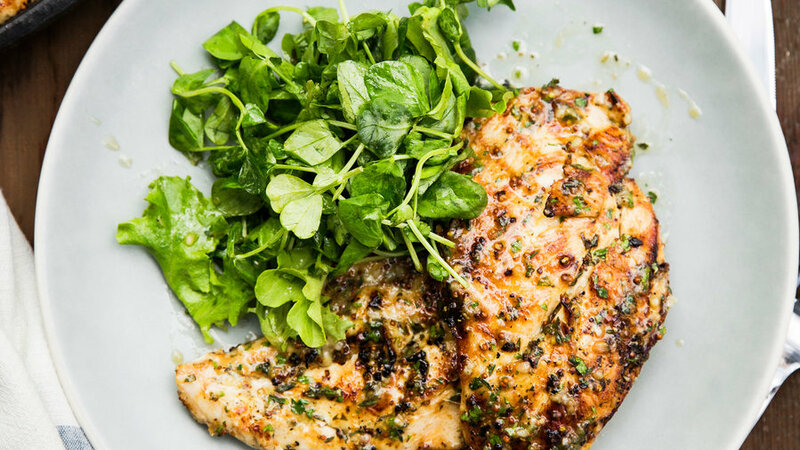 This version is rubbed with flavorful Dijon mustard and a mixture of dried and fresh herbs. 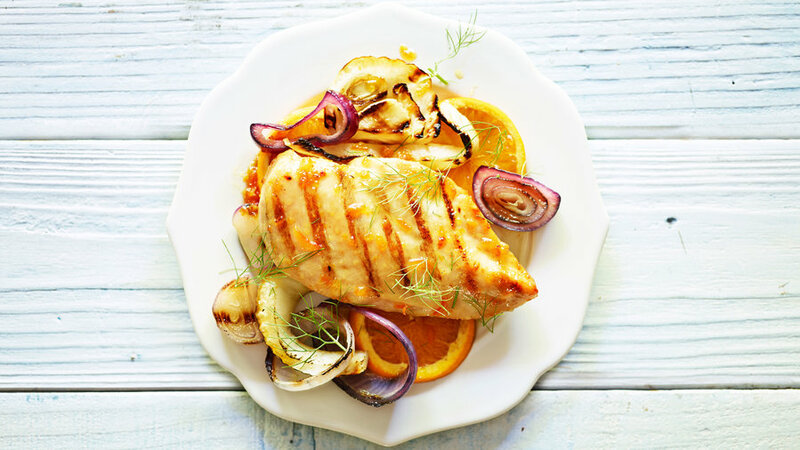 Grill the perfect chicken breast ― crunchy skin and tender meat ― with a simple, foolproof method: Salt it beforehand to keep the meat moist, and give it a final toast over direct heat to crisp the skin up. Perfect results, with only two ingredients! Try our spice-rubbed, marinated, buttered, and herbed variations after you've mastered the original. 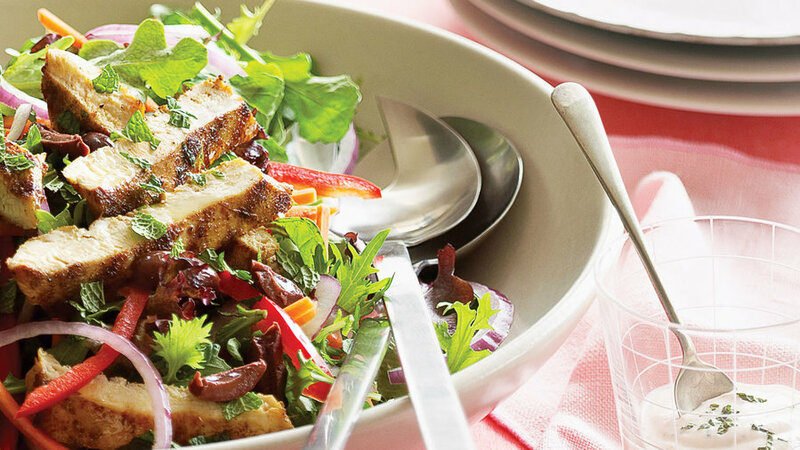 This chicken salad gets its wow factor from a dressing spiked with harissa, a Tunisian chile sauce. Cool yogurt balances the heat. 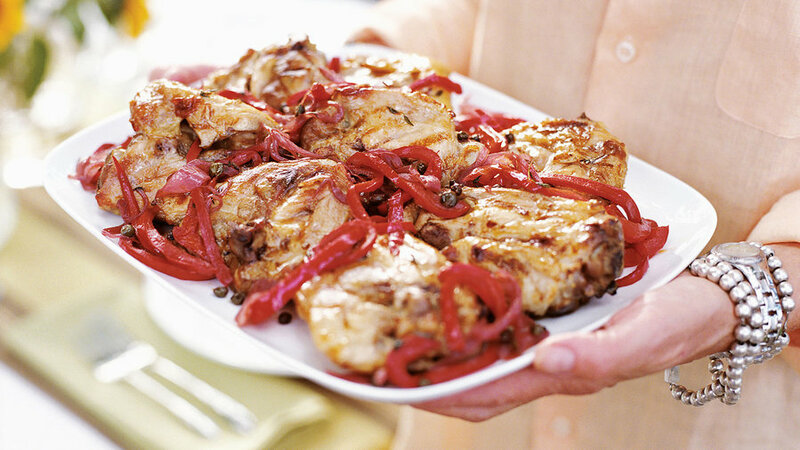 Sweet, slow-cooked onions and red peppers, laced with Port, capers, and thyme, make grilled chicken thighs your summer blockbuster. 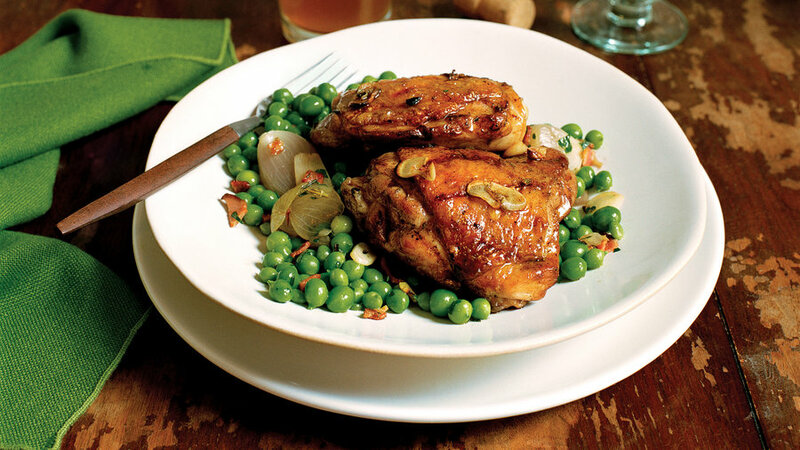 Crisp-skinned, juicy grilled chicken thighs are paired here with sweet shallots and peas, studded with smoky-crisp bits of bacon. 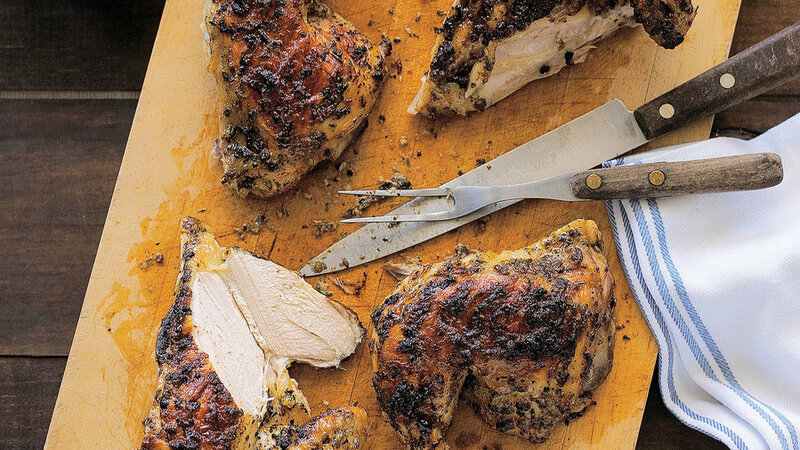 The classic roast chicken moves onto the grill, and a spice rub gives it extra kick. 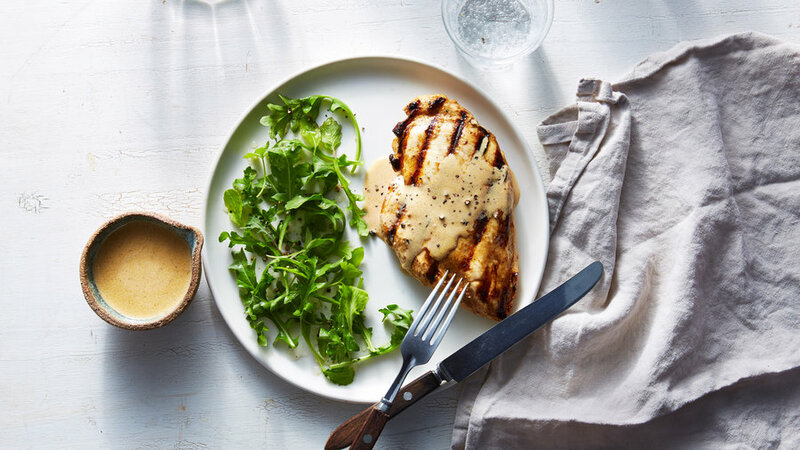 Spicy, garlicky cream sauce makes this chicken special enough for summer entertaining.